Leadership from Northrop Grumman, the U.S. Air Force and North Dakota broke ground on the company’s Grand Sky facility in Grand Forks, N.D. Left to right: Rick Matthews, vice president and IPT lead, Northrop Grumman; Col. Anthony Hernandez; Randy Richards, aid to Rep. Kevin Cramer; Mick Jaggers, vice president and program manager, Global Hawk, Northrop Grumman; Sid Ashworth, corporate vice president of government relations, Northrop Grumman; Sen. John Hoeven; Janis Pamiljans, vice president and general manager, unmanned systems division, Northrop Grumman; Gov. Jack Dalrymple; Sen. Heidi Heitkamp; Lt. Gov. Drew Wrigley; Tom Swoyer, president of Grand Sky Development. 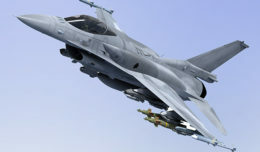 Northrop Grumman kicked off construction of its new 36,000 square foot facility at Grand Sky Unmanned Aerial Systems Business and Aviation Park at Grand Forks Air Force Base, N.D.
Northrop Grumman has leased 10 acres of land and committed over $10 million to this initial project at Grand Sky. As the Park’s anchor tenant, this will establish a nucleus for Northrop Grumman’s unmanned aircraft systems supporting research and development, aircrew and maintenance training, operations and mission analysis, and aircraft maintenance in the local region. The company is also exploring additional construction in the future. In a morning ceremony, Governor Jack Dalrymple, Lt. Gov. 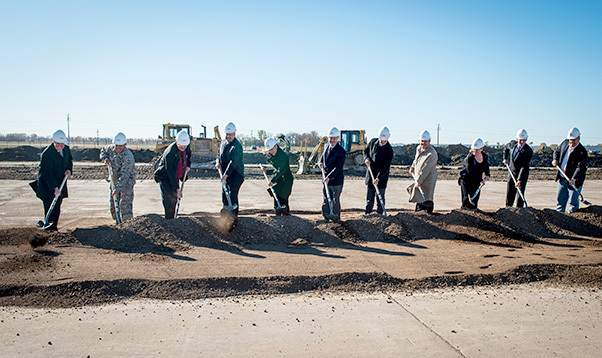 Drew Wrigley, Senator John Hoeven and Senator Heidi Heitkamp joined together with Air Force personnel, Red River Valley advocates, community leaders and several Northrop Grumman executives to break ground on the site just east of Grand Forks Air Force Base. 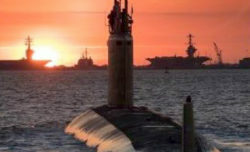 During the event, Northrop Grumman reiterated its multimillion dollar commitment to the region. Northrop Grumman’s Grand Sky facility and planned expansion is tied to the growing unmanned systems business area and is the second major Northrop Grumman facility in North Dakota. The company has a manufacturing site in New Town, which has been in continuous operation for 45 years.